Chiropractic care can relieve many types of back pain, lower back pain in particular, and helps restore normal range of motion. Spinal manipulations may take stress off surrounding tissues - muscles, tendons, and ligaments - to relieve back pain and restore normal functioning. The key with neck pain is to recognise that every case is different and many factors, like posture, how the strain happened, and where the pain is referred to (shoulder, arm, back or head) must all be considered during an examination. For example, have you had whiplash in a car accident? Do you turn your neck a lot in your job? Or are you bent over a keyboard all day long? The first goal of treatment is to relieve pain through correcting misalignment in the spine and reducing muscle inflammation. If you feel pain or stiffness in the neck before, during or after a headache you may find that the cause is dysfunction in the joints of your neck. Nerves travel from the neck up to the head and chronic stiffness in the neck can lead to headaches. Migraine headaches are known to be caused by multiple factors. Releasing tension in the neck with chiropractic adjustment may be enough to break the cycle that causes migraines. Joint and Muscle pain has many causes and a proper diagnosis of the cause of the pain is essential to its treatment. For example, knee pain may be influenced by misalignment of the low back. As knee problems affect and are affected by the hips and the feet, these areas may need assessment and treatment too. 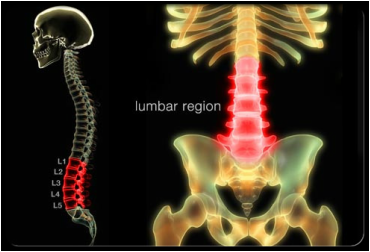 The same applies to every joint and muscle in the body; the spinal joints and other joints in the same limb are likely to affect the injured area and all need to be treated to affect a full recovery. If you are suffering due to arthritis there is a lot that can be done. The key is to understand that a lot of discomfort associated with arthritis is due to dysfunctional movement and the debris that has collected around the joints in your spine and elsewhere in the body. When you move less because of the discomfort, the arthritis develops more rapidly. Using holistic chiropractic care to ease aching arthritic joints allows them to move more freely, hence, with less pain. As your joints move better so they start to become better lubricated, fibres stop growing around them and the progress of arthritis is slowed. When your joints move better you feel better.